Home › Insurance › What is Insurance and how it Works? What is Insurance and how it Works? In law and economic terms, insurance is a method of risk management for uncertain losses involving fair transfer of risk of loss from one entity to another in exchange for periodic payment. It involves three main parts: Insurer, Insured and Insurance factor. Insured is one who seeks compensation if there is some uncertain loss; insurer is one who promises to indemnify the insured in an event of loss and insurance rate is the criteria which decides for a certain amount of insurance coverage, what amount should be charged; this amount is called the premium. There are various types of insurances ranging from a person to car, land, house etc. All insurances other than life insurance are covered under general insurances. However, you should always consult Your Personal Financial Mentor before purchasing an insurance plan because he can advise you which plan is financially beneficial for you. Change is the essence of life and what brings changes at a revolutionary rate these days is a technology. Technology influences the way insurance firms operate and communicate with their clients and with each other. There has been a tremendous growth in the world of mobile communication. Insurers identified it as a swift means of getting to clients for delivering relevant information and are exploring its use to take maximum benefits of this technology. Firms are launching mobile applications that allow premium payment, access to policy information on their cell phones. Data is the most precious thing for an insurance firm. Data visualization is a vehement task in an insurance firm that gives a chance to insurers to broaden their business insights and analytics from a small quantitative analyst group with a wide employee base. Direct, Online Self servicing and agent portals were action plans that worked well with one channel at a time. Now it is time to bring these plans together to ameliorate the conductance of business with agents. This helps in multiplication of field sales force in near future. Social networking sites and blogs like Facebook, Twitter etc. show their worth in business by aiding in brand development, growth of sales and catering the staffing needs. For all online sources, an attractive, polished, simple but elegant website is a must in addition to its occurrence on major social networks. Modernization is the need of the hour, no doubt; but a large jump in the name of modernization may render earlier systems and applications as obsolete and redundant ones. However, packaged solutions and applications contain various options that minimize the time, cost and difficulty involved in the process. These are some trends technology trends emerging in the field of insurance firms that will help them do a better business. Insurance is like trusting someone. Investing in a company having good worth and market value generates a sense of security and a feeling that it will stand by us in our hard times. So, for this reason, it’s good to have some knowledge about the top rankers in this field. 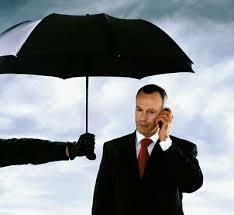 September 29, 2013 What is Insurance and how it Works?